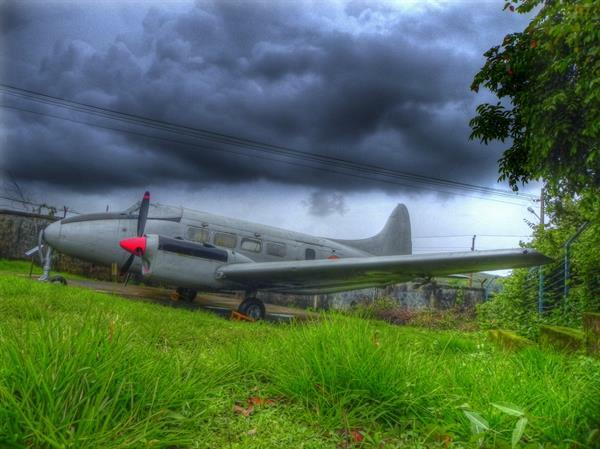 Goa is gifted with a National Aviation Museum which attracts thousands of visitors. This is situated near Dabolim airport in the property owned by Indian navy. Naval Aviation Museum Goa is one of the popular museum in Goa. This is one of the famous military museum of Goa. This famous Museum of Goa is located at Bogmalo of Goa which is just 6 kms from Vasco da Gama of Goa. You can see all types of Equipments, Instruments, Dresses and many more accessories used by Navy. This museum of Goa is divided into two parts. One is known as the outdoor exhibit of the Museum and another is known as indoor gallery of Aviation Museum Goa. The Outdoor Exhibit of this Museum in Goa is a very big park which is opened for the visitors. You can see helicopters and decommissioned planes used by Navy. These Helicopters and Planes are very old and about 60 years old. There are about 12 models of Planes and Helicopters are in the Naval Aviation Museum Goa. The aircrafts present in the this museum are : Hawker Sea Hawk, Short Sealand, De Havilland Vampire, de Havilland Dove, Sea Harrier, Breguet Alize, Hughes and HAL Chetak etc. The main attraction of this Museum in Goa is Lockheed L-1049G model aircraft which was used by the Indian Navy and Indian Air Force. The Indoor gallery of this Museum in Goa is divided into two parts. One of the part of Indoor gallery of this museum in Go is for Armament where you can see the weapons which were used by Indian Navy. And the another part of Indoor gallery of Navalx Aviation Museum is for Attire where you can see the uniforms and dresses used by Indian Air Force and Indian Navy. You can also see many rare photographs and documents of Naval Aviation whose are very old in the Indoor gallery of Naval Aviation Museum Goa. You can also see many types of torpedoes, cannons, bombs and sensors which were used by the Indian Navy. The Entry Fee of this Museum in Goa is Rs. 20 for adults. If you want to take your camera inside the museum, then you have to pay some fee which is allocated by the Management team of Naval Aviation Museum Goa. The opening time of Naval Aviation Museum is 10.00 A.M. and closes at 5.00 P.M.. The Aviation Museum Goa remains close on Monday of Every week. We have covered many other tourist attractions in Goa like Colva Residency, Mollem National Park, Attractions of Miramar beach etc.